Tammy was very competent and efficient. Company sent the wrong part which delayed things but she was wonderful and accommodating. Should have tried the dishwasher before he left and we would have seen the problem. Both racks are out at the same time.. Cant load the bottom because the top is in the way. REFRIGERATOR MAYTAG MFF2258FEZ02 "replaced cntrl and mullion programmed code 02, unit is running as designed"
REFRIGERATOR MAYTAG MFF2258FEZ02 "wrong rail recieved, needs rail and cntrl; ordrng 1 WPW10637328 (cntrl-elec) and 1 wpw1272280ap (rail)"
REFRIGERATOR KITCHENAID KFCS22EVMS4 "fcc leaking from bottom of freezer found drain clogged, cleared all ice and trimed grommit, tested drain clear. unit is running as designed"
REFRIGERATOR MAYTAG MFF2258FEZ02 "moisture on mullion, ordering mullion and cntrl; ordrng 1 WP12722803AP (rail-mulln) and 1 W10464775 (housing)"
WASHER WHIRLPOOL WET3300SQ1 "wont spin out, found plug to lid switch loose tightened with larger screws 5/16. 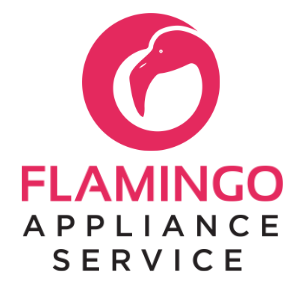 tested and checks ok"
DISHWASHER WHIRLPOOL KUDP01FLWH6 "door slaams down, found; ordrng 2 8194001 (link)s"
DRYER WHIRLPOOL MED8766FW0 "no heat. clothes not drying. ordering listed parts; ordrng 1 WP3392519 (fuse-thrml) and 1 W10900067 (cutoff-tml) and 1 279838 (element,heater)"